Joy to show the most beautiful of you! Joymom is such a brand dedicated to serve girls,women and maternity. 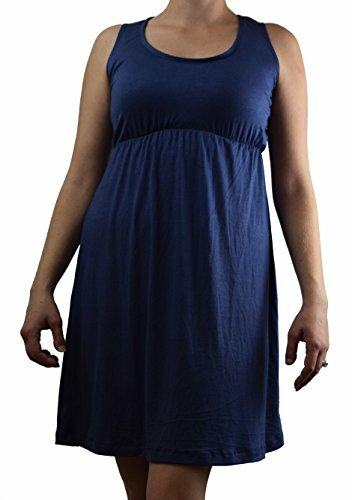 -Item Type:Casual Nursing Dress.Best for early maternity and breastfeeding. 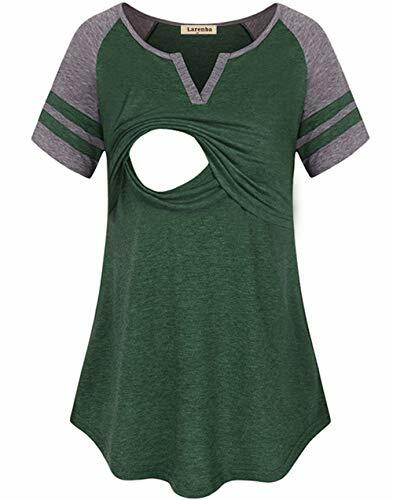 -Gender:Women -Material:Ultra Comfortable and Soft Material with High Elastic -Design:Flutter Sleeve,Scoop Neck,Aline,Elastic Waist,Swing,Casual,Breastfeeding,Lightweight,Cute and Flattering. -Occasion:Suitable for house wearing,daily wear,holiday,travel,casual,shopping etc. -Garment Care: Machine Wash or Hand Wash And can be matched with your pretty handbag,high heels,sun glass,etc. Catch this chance and show your elegance and beauty Size Chart: S (US 6-8)-Length 37.8" Bust 35.0" Sleeve 6.7" Hem Length 53.2" Shoulder 14.1" M (US 10-12)-Length 38.6" Bust 37.0" Sleeve 7.1" Hem Length 55.1" Shoulder 14.6" L (US 14)-Length 39.4" Bust 39.0" Sleeve 7.5" Hem Length 57.1" Shoulder 15.1" XL (US 16)-Length 40.2" Bust 41.7" Sleeve 7.9" Hem Length 59.8" Shoulder 15.7" Thank you for your sincerely support.Please feel free to let us know if there is any issue or suggestions,we will give you 100% complete satisfaction. These PJ's are so comfortable and make night time nursing easy and convenient! Made from super stretchy fabric with an elastic neckline you can simply pull down with one hand for easy nursing access. Don't forget to pack this in your hospital bag! Hey,pregnant and nursing moms! Are you looking for a nursing tops? Our breastfeeding Shirt is a must have, as you can breastfeed discretely anywhere without having to cover. It is worth to getting - We promise. Features: *Soft and comfortable cotton blend material. *Discrete nursing opening,easy to nurse in and doesn't look like a nursing tops. *This breastfeeding tops can make you look great and stylish with leggings or skinny jeans. Sweet gift: It's a good choice for you to express best wishes and love to friends or wife. 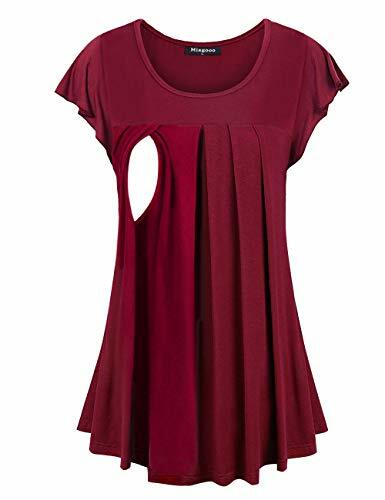 Size:(inches) S:---Bust:33.5" Length:27.8" Sleeve:11.4" M:---Bust:35.4" Length:28.3" Sleeve:11.8" L:---Bust:37.8" Length:28.9" Sleeve:12.2" XL:--Bust:40.1" Length:29.5" Sleeve:12.6"
Joy to show the most beautiful of you! Joymom is such a brand dedicated to serve girls,women and maternity. 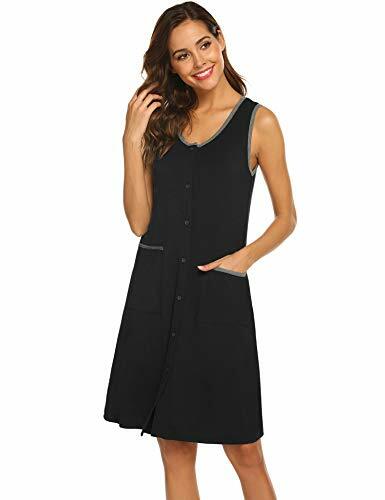 -Item Type:Nursing Tank Dress.Best for early maternity and breastfeeding. 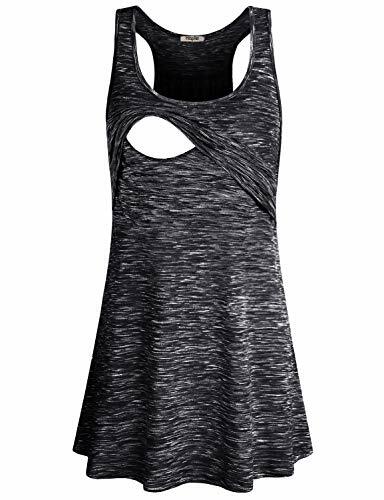 -Gender:Women -Material:Ultra Comfortable and Soft Material with High Elastic -Design:Sleeveless,Scoop Neck,Tank,Racerback,Aline,Swing,Curved Hem,Double Layer Nursing,Cool,Casual,Cute and Flattering. -Occasion:Suitable for house wearing,daily wear,holiday,sport,travel,casual,shopping etc. -Garment Care: Machine Wash or Hand Wash And can be matched with your pretty handbag,high heels,sun glass,etc. Catch this chance and show your elegance and beauty Size Chart: S (US 6-8)-Length 35.4" Bust 34.3" Waist 33.9" Hem Length 52.0" Shoulder 12.8" M (US 10)-Length 36.2" Bust 36.2" Waist 35.8" Hem Length 53.9" Shoulder 13.0" L (US 12)-Length 37.0" Bust 38.2" Waist 37.8" Hem Length 55.9" Shoulder 13.4" XL (US 14-16)-Length 37.8" Bust 40.9" Waist 40.6" Hem Length 58.7" Shoulder 13.8" Thank you for your sincerely support.Please feel free to let us know if there is any issue or suggestions,we will give you 100% complete satisfaction. Hey,pregnant and nursing moms! Are you looking for a nursing tops? Our breastfeeding Shirt is a must have, as you can breastfeed discretely anywhere without having to cover. It is worth to getting - We promise. Features: *Soft and comfortable cotton blend material. *Discrete nursing opening,easy to nurse in and doesn't look like a nursing tops. *This breastfeeding tops can make you look great and stylish with leggings or skinny jeans. Sweet gift: It's a good choice for you to express best wishes and love to friends or wife. 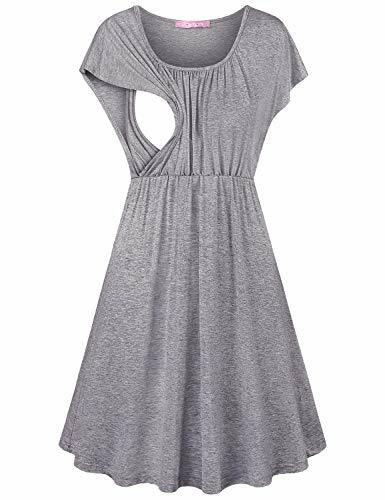 Size:(inches) M:---Bust:37.8" Length:28.4" Shoulder:15.4" Sleeve:26.0" L:---Bust:39.8" Length:29.2" Shoulder:15.8" Sleeve:26.4" XL:--Bust:41.8" Length:29.9" Shoulder:16.2" Sleeve:26.8" XXL:-Bust:43.7" Length:30.7" Shoulder:16.5" Sleeve:27.2"
Congratulations, moms! Are you looking for a nursing tops? Our breastfeeding Shirt is a must have, as you can breastfeed discretely anywhere. It is very suitable as a gift to new mammy !!!1. Discreet enough for nursing, convenient to breastfeeding elegant pleat front design, elastic free under bust.2. So this breastfeeding shirt will never chafe or dig. It is very suitable as a gift to new mammy.3. Design for postpartum nursing moms, loose and long enough which is perfect to flattering postpartum body 4. 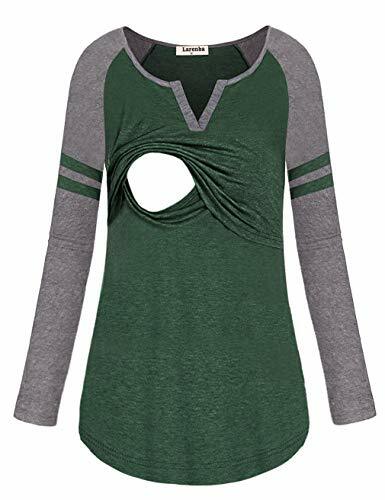 Plus it looks like a normal tunic, nice enough to wear it outSize Chart(In inches):S (US4-6)-Length: 27" Bust: 33.5" Shoulder: 15" Sleeve: 4.3"M (US8-10)-Length: 27.6 Bust: 35.4" Shoulder: 15.4" Sleeve: 4.5"L (US12-14)-Length: 28.1" Bust: 37.8" Shoulder: 15.7" Sleeve: 4.7"X-L (US16-18)-Length: 28.7" Bust: 40.2" Shoulder: 16.1" Sleeve: 4.9"
Shopping Results for "Scoop Neck Nursing Nightgown"